Los Angeles, CA – Invisalign is perfect if you want to improve the look of your smile. Not only is it effective, but the aligner is clear, so most people won’t even know you’re straightening your teeth. Treatment isn’t the same for Invisalign as it is for braces. Since you need to remove the aligners when you eat, brush and floss your teeth, it’s important that you know how to use them properly so that treatment will be effective. The following will help you know what to expect. You must wear Invisalign 20-22 hours a day. During the first week, you may have a difficult time speaking. You may speak with a lisp, but this slight speech impediment is only temporary. All you need to do is practice talking with the aligners in your mouth, and your speech will return to normal as you mouth gets used to wearing them. Most people do experience some discomfort at first. You may feel some soreness because the aligners are actively moving your teeth. After a week, the discomfort should subside. You may also find it a challenge putting the aligners in your mouth and taking them out, but that’s only because you are still getting used to the feel of them. You shouldn’t have as much trouble after about a week. It’s best to establish good cleaning habits right from the start with Invisalign. Whenever you brush your teeth, clean the aligners thoroughly. You may forget or not feel like doing it at first, but after about a week, it will become second nature. The aligners will be new to you. Don’t hesitate to call your orthodontist if something doesn’t seem quite right. 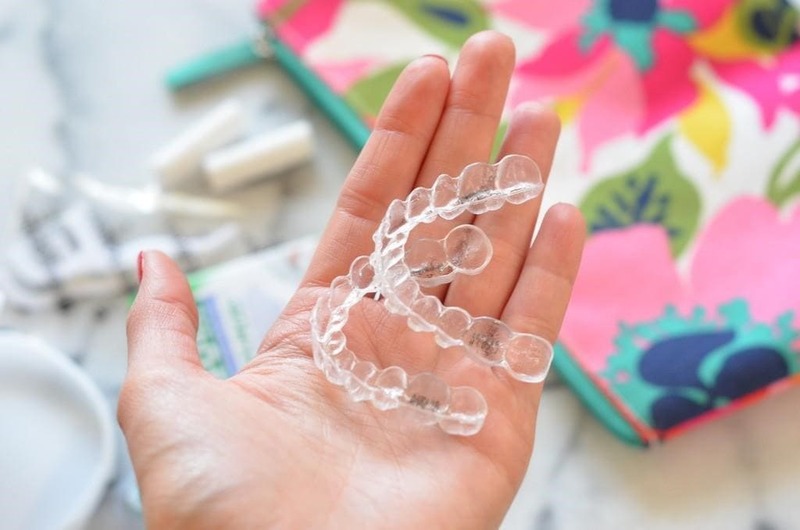 As you go through the first few days of wearing the aligners, you’ll begin to feel much more comfortable, and you won’t have as many questions. If you’re considering Invisalign treatment in the Los Angeles, CA area, contact Nikaeen Orthodontics. Orthodontist Dr. Atoosa Nikaeen helps patients of all ages improve their smiles. With a free consultation, you will be able to decide which option will work best for you. Call to schedule an appointment now at 310-444-1113. What Should Patients Know about Teeth Straightening Surgery?